Master students of the TUSUR Institute of Innovation returned from their internship at the Industrial Technology Research Institute (ITRI) in Taiwan. 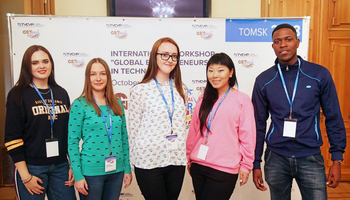 After successful completion of their internship, master students were offered an opportunity to take the lead in creation of the Tomsk branch of ITRI at TUSUR in order to coordinate future joint innovative projects. 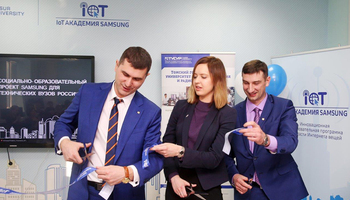 TUSUR interns Gleb Dvoryatkin, Viktor Bazhenov and Sergey Musatov were selected by ITRI representatives in March during the second stage of the competition. 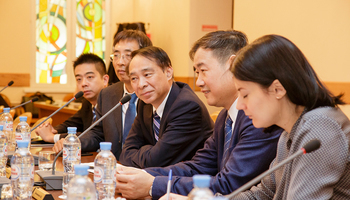 Interns received grants from ITRI to cover accommodation in Taiwan, as well as medical insurance and monthly stipend. Master students spent about two and a half months in Taiwan, working at various subdivisions of the institute. 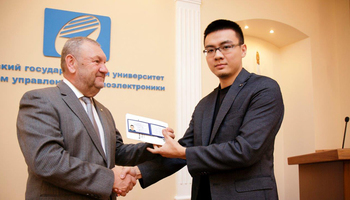 Gleb Dvoryatkin worked at the Industrial Economics Centre, Viktor Bazhenov — at the Centre of Security and Identification Technology Centre, and Sergey Musatov — at the International Business Centre. According to the ITRI feedback, TUSUR interns proved to be top-level young professionals who are ready to be involved in international commercialization of R&D results and qualify both in terms of professional competence and language proficiency.